. Christopher Knight Home (Set of 2) Northrup Pipe Outdoor Adjustable Barstool with Cushions. 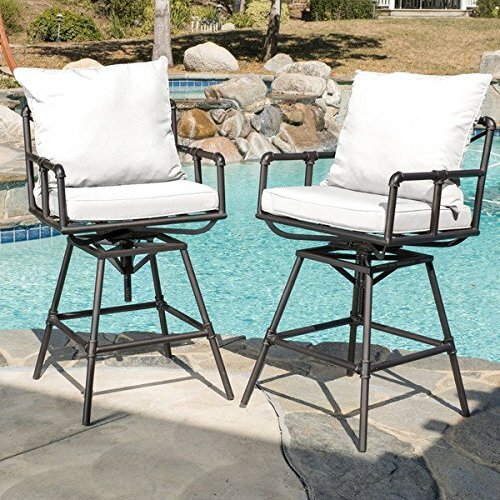 Soft padded seat cushions with water-resistant fabric make these stools an ideal seating option when enjoying poolside beverages, and the swivel design allows for easy mobility when chatting with friends or family members. These versatile stools are also suitable for indoor use when paired with wet bars, counter height tables or kitchen islands. Assembly Required. This product will ship to you in multiple boxes.